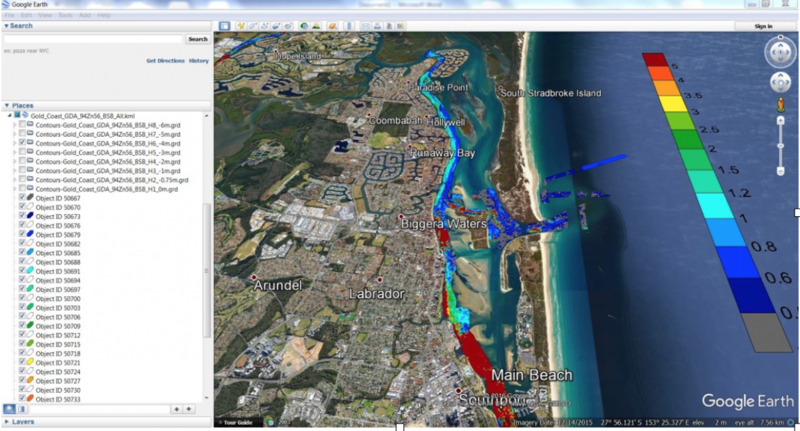 A Strategic Integrated Digital Ground Model was created for Gold Coast Water including the collection of advanced Aquares geophysics. The model incorporated all available geophysics, geotechnical and environmental data, with the intention of becoming the primary decision and risk management tool across the Authority. This is a key part of an integrated approach to the management of the waterways and is designed to capture benefits including; risk reduction, better decisions for infrastructure placement, reduced design and construct costs and better environmental outcomes. Target areas were defined for Aquares geophysical data collection based on high priority areas. Transit passages that link these target areas were added at almost no additional cost as the vessel was travelling along these linked areas multiple times making it simple to build up a larger dataset for creation of the Strategic IDGM across a much bigger target area. 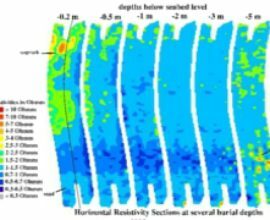 This project involved one of the largest speculative data collections of high resolution advanced geophysics by a management authority, seen in Australia. 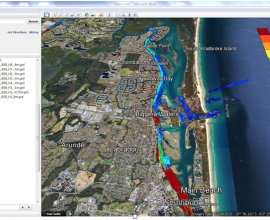 The net result was over 200 line kilometres of data collected over a large area of the Gold Coast waterways. 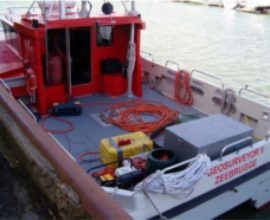 Detailed data was collected to 12m below the seabed. 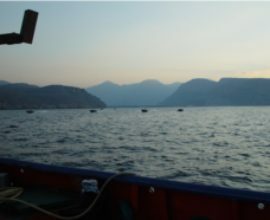 Seabed structures, including indurated sands and silty areas were inferred and, predictions of the Aquares data appear to conform to historical datasets. Studies are ongoing to verify and calibrate the data and develop products suitable to various end users. Once use of the strategic IDGM becomes an integral part of the project planning process, the benefits are enormous, allowing more effective decision making over the entire target area and across different departments about infrastructure priorities and placement. Project risk will be greatly reduced and significantly decrease long term expenditure. It is envisaged that this process can become a model for the management of waterways and major infrastructure across the country.